Is terroir a concept concocted by the French to hide flaws, as some suggest? Or is it a real thing that can be tasted and measured? John Dimos from Biome Makers and Wine Seq has a tool that resolves the question. In this nerdy, fascinating podcast we dig into the details and provide solid answers to the questions below! I never thought we'd see this in our lifetimes, but here we are! The effect of the biomes v chemicals from winemaking in the final wine? Who is this tool for and how will they use it? Given that terroir is a real thing and that it CAN be detected in many wines, why isn't expressed in all wine (or food for that matter)? How is this new tool going to change wine growing going forward? Will it empower people to take more "risks" on farming organically? Does this steal the "art" from grape growing/winemaking? I encourage you to check out the site and to follow them on Facebook and Twitter. A company that surely will change the way winemaking happens! 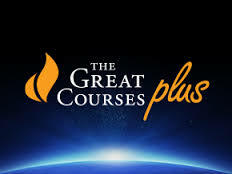 A thanks to our sponsor: the Great Courses Plus! Sign up for a free trial!